Some people blog for fun, or to try it. Some like to write about their family for friends, or about their adoption journey. For this, I would definitely recommend Blogger. Blogger is easy, fun, and easily customizable. And it’s all free. I began blogging about a year and a half ago, and made the grand switch to WordPress about five months ago. At first, I hated the switch and was homesick for my old blogger blog. I kept seeing cute, adorable, professional, sleek and free blogger designs, and finding nothing for my WordPress blog that matched my style. Granted, I’m still not 100% happy with my blog look, but I’ve gotten over that. I began blogging because I had a message, and a passion to share it. My passion to help your average person successfully homeschool, help moms learn 1940s frugality habits, and spread a message of courage to Christians through WWII history. I loved writing, and blogging was really the only practical way for me to combine all of my passions and share them with the world. I became serious about blogging when my first post took off – 100 repins in 12 hours. That number soon doubled, and a few weeks after I began blogging, I began receiving 200+ repins every single day. My .blogspot.com blog has been repinned well over 66,000+ times. 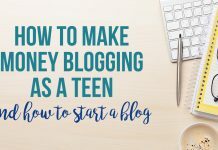 My blog spread like wildfire throughout Pinterest in such a short time, and I was starting to get recognized by some serious homeschool bloggers. People were sharing my blog, out of the 30 million websites out there, and taking time to comment and tell me how much they loved my work. Me, just a teenager. I was humbled, excited, and I knew this was what I wanted to do professionally. In April, I went before an Investor Panel for my business The Parsi Company (a whole other adventure) and was graciously awarded $1,275 to start my business. Of course when I bought a hosting plan, I bought an extra domain for my blog, so fortunately I got my initial domain and hosting for free and made the switch, plus set up an e-commerce site from scratch, in about 5 days, with my business website taking the most time. Blogger owns your content, and can delete it anytime they want. Although not very common, it can happen, for whatever reason. With Blogger, when a reader is on the site via their phone, the URL ends with ?m=1 – and when the readers pin off the mobile site, that end URL stays, and looks weird on a computer or laptop, to boot. And also, because the URL ends with .blogspot.com/?m=1 instead of .blogspot.com; none of Blogger’s Mobile links transfer. Many WordPress themes (blog design) are responsive, which means they adjust to whatever platform the reader is on; mobile, laptop, tablet – without the ending tag! http://lechaimontheright.blogspot.jp/2014/01/30-ways-to-teach-history-without.html When clicked, this link will transfer to my WordPress site as it is now. http://lechaimontheright.blogspot.jp/2014/01/30-ways-to-teach-history-without.html?m=1 When clicked, this link will not transfer to my WordPress site, and will look weird on a desktop computer. Although I am thankfully not getting broken links, the mobile version is quite frustrating, because I am not getting the stats and the reader is getting a hard-to-read and sloppy version of my old blog. A few days ago, while helping someone with their Blogger blog, I went back to my old site (do NOT delete your Blogger blog after you’ve moved) and looked at my traffic sources. I was glad, but upset too. A company recently repinned a post, and it had over 800 repins. Unfortunately, the link was to my old site (with a Japan link, .blogspot.jp – I’ve only had that problem with one post) and I knew nothing about it. I wouldn’t mind it much, except now I am starting to blog for profit, and my numbers to my new site are horrible, because I’m only getting a fraction of my repins; the ones on my current URL. There are a hundred web hosts out there. I would highly recommend my host, A Small Orange. GoDaddy charges you if you change hosts, hosting has been known to be very slow, along with a boatload of more complicated problems. HostGator is NOTORIOUS for shutting down blogs that suddenly go viral, plus changing the password and kicking the customer out. I have found Bluehost blogs are very slow. And also, I have read stay away from Hosts that claim to have “unlimited” hosting/bandwidth or anything else. Because normally, it’s not unlimited. A Small Orange has none of these issues. My site loads quite quickly, the customer service is extremely fast and friendly (They have live chat. I’ve used it multiple times and have never had a problem. ), and that’s all you can really ask for. A Small Orange often has coupons, so check their site for those. I’d recommend Shared Hosting (so you can host multiple domains, if needed) and buying the small or medium plan, depending on how big your site is. The most ideal package is $5 a month. You seriously cannot get a better deal for quality hosting and service. With enough traffic, hosting will pay for itself soon! If you have a giant blog (100+ posts) go through them and delete the fluff. Save the HTML of your sidebar. Install the Askimet plugin on WordPress for anti-spam. For your most popular posts, if you saved your photos under vague titles (like “tree” for your post “13 Family Picnic Ideas”) go through “MEDIA” in WordPress and start renaming the posts. I only renamed the photos for my most popular post, since I had so many. 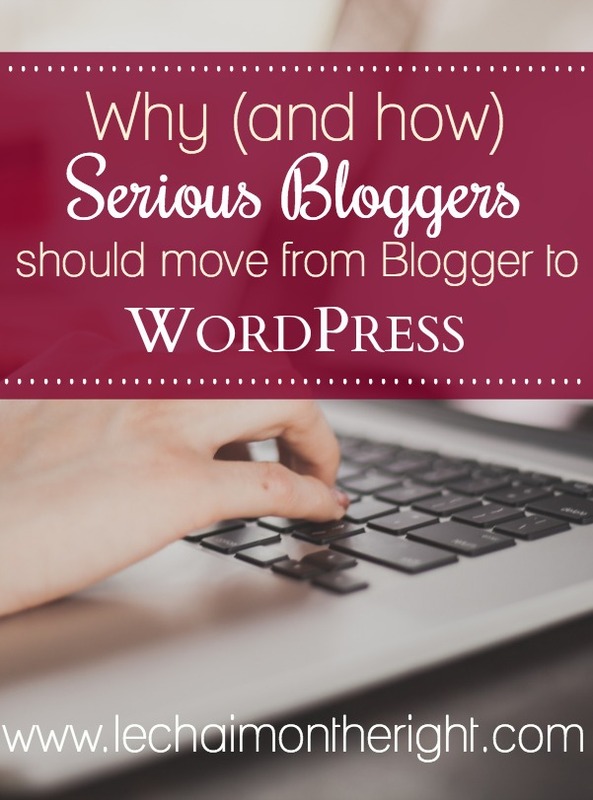 Back up your blog before the move!! Start with a free theme, and in time, if you want a paid theme, go with it. This theme is nice and feminine! CreativeMarket allows you to search themes by price. There are some nice, quality themes for $15-$30. CreativeMarket has very nice freebies each week, and fonts, photos & design stuff for a very affordable price. iStock and Lightstock have free professional stock images each week. Unsplash offers 10 free professional stock photos each week. You can do whatever you want with them and don’t have to give credit. Wordmark.it allows you to type in a word, and see it on all of the fonts on your computer. Love this post, Sam! I am so happy that since I’ve had blogspot experience in the past I didn’t go through this with my current blog. I say get it done, off like a bandaid. There are SO many gorgeous free WP themes, too. Very helpful tutorial! And Congrats on your success! Hey Sam! SO happy I found this article! I am having so much trouble getting my wordpress a pinterest plug in or a way to have the PIN IT tab on my photos! Do you have a tutorial on that for a wordpress? ::) Thank you! !